A hard drive or hard disk can be used in any type of computer, whether for PC (Windows) or for Mac. Before you can use it though, you need to properly format or reformat a hard drive so that it will become compatible or readable with the Operating System that you are using. 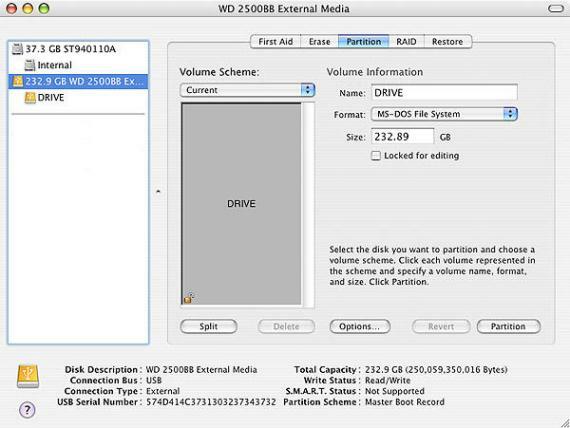 In this guide I will show you how you can properly format/reformat a hard drive for Mac OS. Formatting a hard drive for Windows will be discussed in another article. Formatting and Reformatting a hard drive or hard disk is an easy task (if you know how). 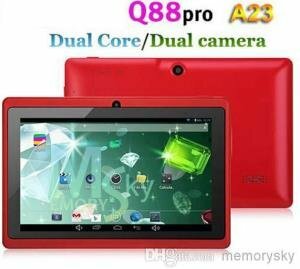 But it is also dangerous as it can result in loosing data or corrupting the drive when it is not done properly. Before I proceed, I will be explaining some few things regarding formatting a hard drive. But if you want to know the instructions in formatting and reformatting a hard drive, just scroll down to the instructions below. First, why do we need to format and/or reformat a hard drive. I will name some reasons, common reasons why we need to do this. 1. Some hard drives are already pre-formatted for a certain platform or system, like when you buy it out of the box it’s already formatted for Mac or Windows. But when it is not, we need to format the drive. 2. Hard drives are formatted so that a particular platform or operating system will be able to read and recognize the drive, whether it is an internal drive or external drive. 3. Hard drives are reformatted because sometimes we need to do clean up and we just want to wipe everything out that is written in the drive. 4. Formatting/Reformatting a drive can also remove soft bad sectors. But not necessarily always. Sometimes when a drive has a physical bad sector, reformatting it could spread the damage. 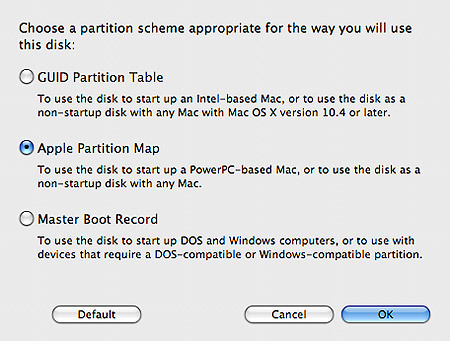 Back to the main topic, below is a step by step instruction on how to Format/Reformat a hard drive for Mac OS. Warning: FORMATTING and REFORMATTING A DRIVE ERASES EVERYTHING. Proceed with caution. Do backup your files first. 1. 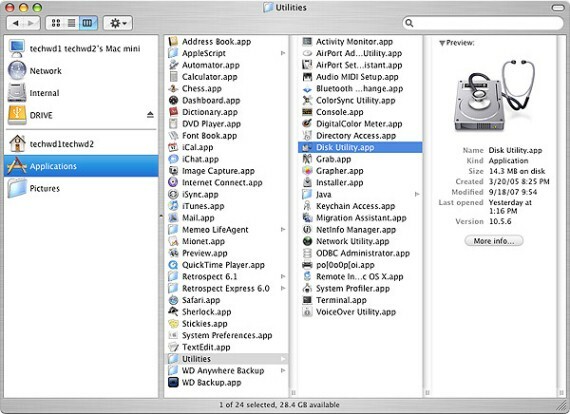 Open Disk Utility by clicking Finder -> Applications -> Utilities and finally click Disk Utility. 2. Choose the hard drive that you want to format or reformat. Make sure that it is the correct hard drive! 4. Click the Current Volume Scheme drop down menu and choose One (1) partition. 5. Click Options, and from the Partition Scheme provided choose “GUID Partition Table” radio button or “Apple Partition Map” radio button. 6. Then click OK. Then key-in in the other options like Volume Name, Format and Size. In this juncture, in the Format option, choose Mac OS for Mac OS X. Or MS-DOS File System otherwise. 7. Click Apply and the Partition Disk screen will open. 8. Click Partition. During this time the drive or volume will dismount and it will be partitioned and formatted. DO NOT TURN OFF OR RESTART your computer during this time! Time Machine may pop up asking you to use the newly formatted drive for backups. Just cancel it to proceed. 9. After that, just exit Disk Utility and your done! Hope this “format/reformat a hard drive for Mac” guide helped! 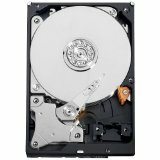 Below are some recommended Internal Hard drive and External Hard Drives that you might like. All of them are best sellers.